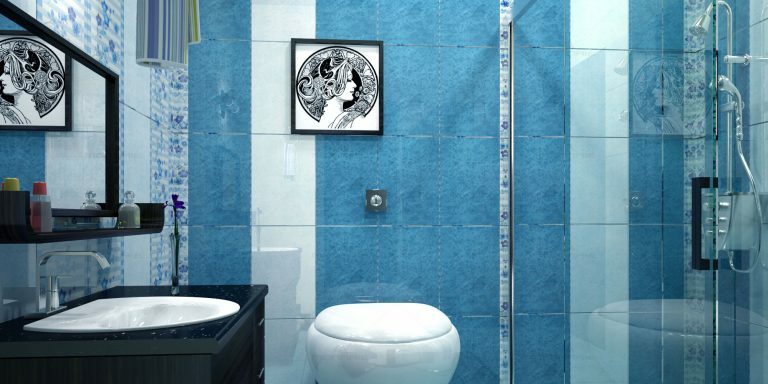 Getting the right tiles for your bathroom can make or break the design of your bathroom. 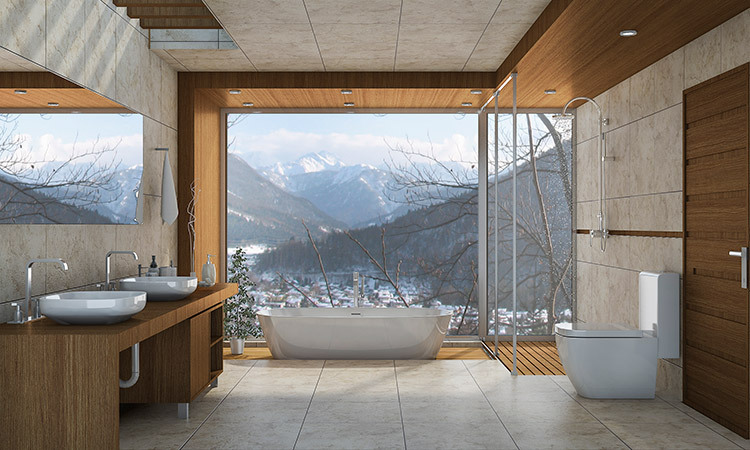 There is a great deal to choose from including tile textures, tile weight, colours and tile finish and it is hard to visualise how tiles will look in your bathroom when on the whole floor or wall. If you can – take a sample of the tiles and leave them in your bathroom in key places for as long as you can before making your decision so that you start to get a feel for the tile. Use the tiles as more than just a floor covering or a wall covering and really make them into a feature. Choose small mosaic tiles to create your own patterns on the walls in shower cubicles or in prominent positions in the bathroom. Alternate two colours to give clean lines and a nice feature. Choose shiny white brick style tiles for the floors and walls and why not stretch it to the ceiling to give the whole room a clean and crisp look. Stand a free standing bath in the middle of feature tile patterns to give the impression of space around the bath and other pieces of furniture. If you have an eclectic mix of furniture in your bathroom then go for plain tiles on the floor that will keep the room form looking cluttered or too busy. Don’t go straight with the tiles – mix and match shapes where you can to give the bathroom an informal and homely feel. 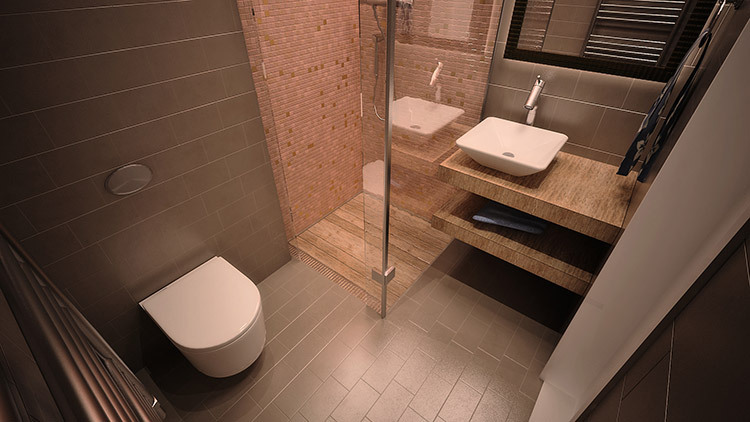 Separate the wet area fro the dry area with different style tiles. 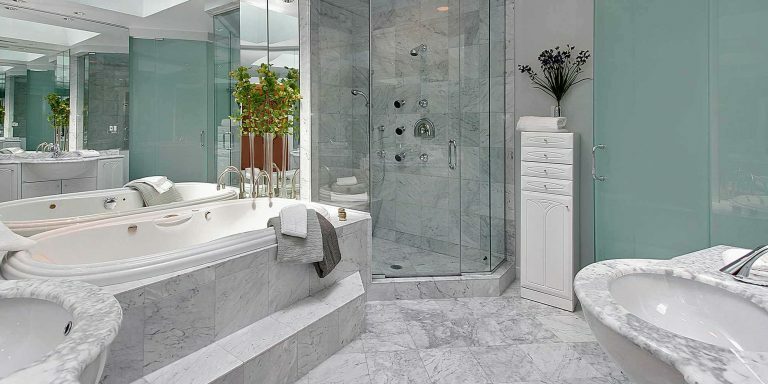 Use small for the wet area to create a feeling of space and larger tiles for the dry area for a luxurious look. Use accent colours in the tiles and use this colour throughout the bathroom. If your bathroom gets a little chilly in the wintery months – stick to warmer colours and why not use a wood effect on the floor to really keep it looking cosy. A Look Inside a Perfect Lake Home Lake Minnetonka MagazineThe Kenney family wanted the perfect lake home—and after a few false starts, they got what they were looking for. 'Wannabe' in Spice Girl Mel B's house? Her L.A. property hits the market for $5.9M Yahoo NewsMel B has a property that will really spice up your life. Berlin Review: 'Synonyms' is an Unsettling, Dazzling Film About Conflicted Nationality The Film StageRelocation becomes dislocation in director Nadav Lapid's intense, beguiling Synonyms. Winner of the Golden Bear at the Berlin Film Festival, the story follows a.